I really enjoyed Kelly Fiore’s debut, Taste Test, so when I saw this being talked about on twitter I knew I had to read it. Fiore does a great job of writing realistic characters. One of the strongest attributes of Just Like the Movies is that the two main characters, Marijke and Lily, truly come from two very different high school worlds – one very popular and the other nearly invisible – but they forge a friendship that becomes one of the main focal points for the book. I think romantic elements in YA are great (and, honestly, what we girls want to see), but it’s nice when that’s not the ONLY big focus int the story, and Fiore did a great job of balancing two sweet romantic elements with this important friendship. 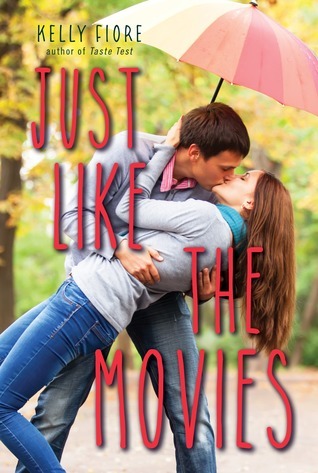 Just Like the Movies is a fun book that only took a few hours to read, and it’s full of references to classic romantic comedy movies. Opening with a scene straight out of Say Anything definitely got me hooked on the story immediately! Click here to find it on Amazon , or ask about it at your favorite local bookseller! I’m a sucker for a good YA novel with a pretty cover, but a book with a pretty cover (even gold foil on the paperback! too gorgeous) AND Robert Frost poetry woven in? I’m so there. 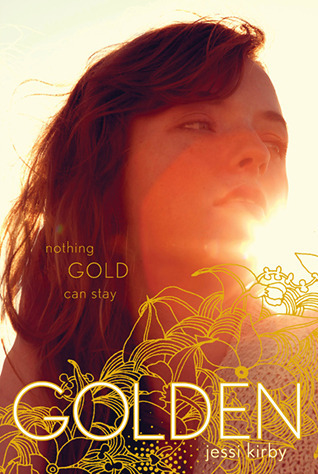 Golden by Jessi Kirby is a really beautifully written story full of romance, mystery, and adventure. 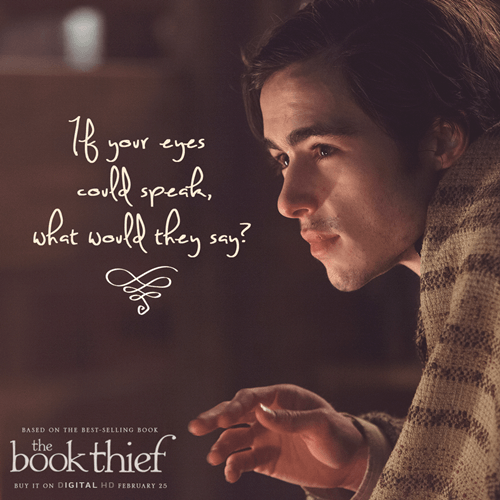 The story is compelling and the characters are realistically flawed with plenty of redeeming value. Parker, the main character, is a protagonist that I rooted for all the way through, and I couldn’t have been more pleased with the way her story turned out. You’ll love this one! Click here to find Golden on Amazon ! GIVEAWAY CONTINUED!!! Dream Boy Blog Tour: Madelyn Rosenberg Takes Over! Nothing could hurt you when the world smelled like cotton candy—at least that’s what Chance Bell thought as she inhaled its pink spun sweetness. The original spark, Mary said, came after she watched a Ginger Rogers movie at 4 a.m. She was half asleep while the movie (It Had to Be You) was playing but in it, a guy dressed like a Native American seems to pop out of Ginger’s dream. So what if we did a story where that happened in a girl’s dream? Then, the negotiations started. Mary wanted it to be romantic. I told her I wouldn’t do it unless it could be funny, too. And both of us loved stories that were grounded in reality but had fantastic elements to them. We started writing. I wish we could tell you there was a great plan or outline, but really we figured out almost everything as we went along. Which may have lengthened our writing process a little. Mary would write a chapter. Then she’d pass it off to me and I’d pick up where she left off (changing some of her chapter as I went) and so on. I’m not sure we knew where we were going until we got there. We definitely changed the plot as we went. We debated who Annabelle would end up with, in part because we ended up liking our characters so much. Even the jerks. And we added and deleted some spooky elements and then added others. Mad: We can’t use that. I just think it sounds too much like The Exorcist. Mary: But I’ve never even SEEN The Exorcist. Melissa also asked about a sequel or companion book. We wrote Dream Boy as a standalone, so there’s nothing in the works. But that doesn’t mean we haven’t thought about it, as neither of us feels finished with these characters. As a reader, one of my favorite things when I finish a book is to imagine what happens next. 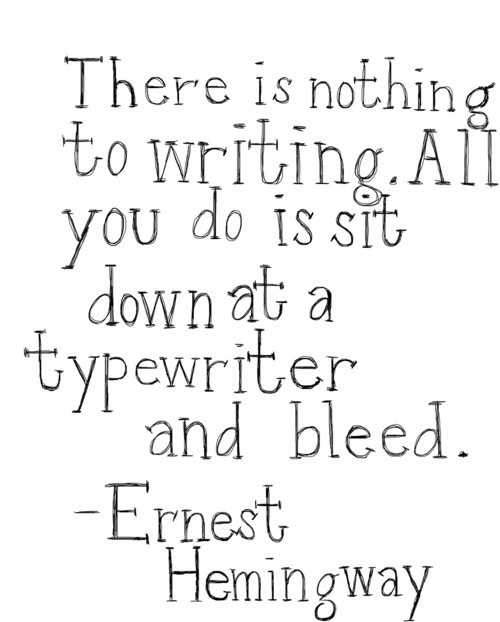 And as a writer, it’s pretty much the same thing. If the story were to continue, I think we’d both be interested in exploring Dream World a little bit more. And we’ve been doing a little matchmaking, too, which I won’t go into – no spoilers, not even for a story that may never be written. But for now, what happens next is really up to readers’ imaginations. Dream Boy is available on Amazon and in your favorite local bookstores, and you still have until this Sunday to enter the DREAM BOY GIVEAWAY through Rafflecopter! You know the feeling you have when you wake up after a particularly vivid dream? Struggling to decipher between dream and reality because it just seems so real, maybe trying to go back to sleep and enter that dream again, but eventually losing the details as it fades from your memory? 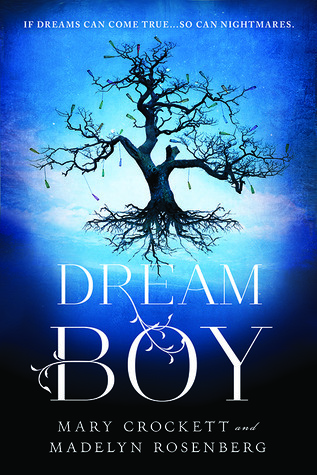 I really enjoyed Dream Boy and loved the way that the authors wove paranormal elements into an otherwise contemporary realistic piece of fiction. It reminded me of Lisa McMann’s books, which I also think are wonderful, in that it’s a very accessible YA form of magical realism. They’ve also done a great job of creating characters with enough depth to handle the twists and turns they throw into the plot as the story goes from a simple “oh hey, my dream came true” to a “oh crap, does that mean nightmares can too?” kind of suspense. I’d love to know more about where the idea came from – it felt familiar in that there are books out there that sort of dance all over that boundary between realistic fiction and paranormal, but it also felt refreshingly new. It was impossible to read, too, without thinking of how much I’d be freaking out if I were in Annabelle’s shoes. So where did the idea of a literal dream come true come from? And from the spark of the idea, how did the whole story develop? I’d love to hear, too, about the possibility of a sequel or companion novel. What’s next for Annabelle, Will, Martin, and the rest? Click here to find it on Amazon , or ask about it at your favorite local bookseller, and enter for a chance to WIN A COPY through a Rafflecopter giveaway!!! This is a really sweet and beautifully written middle grades novel. The only thing keeping me from giving it five stars is that I felt like the ending, while hopeful and complete enough to resolve the book, didn’t quite do Lola and Canaan justice. They were such great characters – there should have been more resolution, both in their relationship and in Canaan’s family life. I definitely recommend The Swift Boys and Me to kids in the 4th-6th grade range! The adorable cover will no doubt appeal to lots of young girls, but the messages and themes are perfect for boys, too. For my fellow teachers, this would make a great summer reading choice for students coming into 5th and 6th grades! Find it here on Amazon or at your preferred bookseller. Enjoy!